If you prefer your shooters with a horror element then Metro: Last Light will be sure to entertain while giving you a scare. The game world has been crafted with some amazing realism and will quickly make you feel like you are actually living out the story. 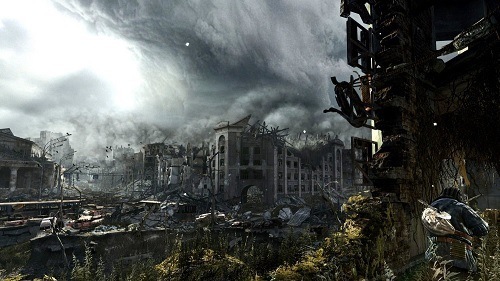 The plot is directly tied to the events that took place in Metro 2033 and assumes the ending where Artyom sent he missile strike on the nest of Dark Ones which has now provided him with official ranger status. This time around the game follows your journey to find the last remaining Dark One and has you uncovering a number of plots involving the various factions that are fighting for control over the newly discovered military facility. The same dark atmosphere of the original makes this adventure just as dark as your first adventure. Metro: Last Light features the same hidden karma system of the original with players gaining negative or positive karma throughout the story based on their actions which ultimately changes the game ending. Karma isn’t earned solely from story elements though with players even able to get positive karma for more simple actions such as donating to beggars. Gameplay is fairly standard for a first person experience with players able to choose various weapons to dispatch their enemies which can be both humans and mutants. Ammunition is a scarcity in the game though and will have players thinking carefully about ammo management. 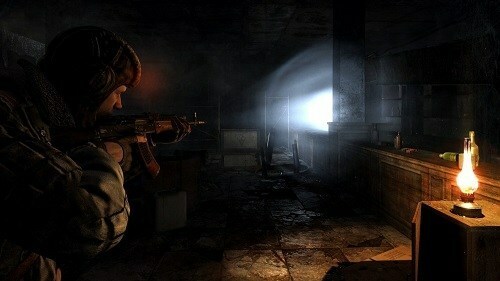 In order to save ammo players can engage in more stealth based gameplay with plenty of scenarios offering the player the choice of stealth or direct assaults. Stealth is particularly interesting with the ability to interact with the environment (switching off electricity or turning light bulbs so they go out). In between all of the combat elements you’ll need to scavenge around for filters which allow you to venture onto the surface with your gas mark, much like the original. The entire Metro: Last Light experience is impressive and delivers an amazing atmosphere that not many other games have been able to replicate. Return to the Metro once again. Amazing horror atmosphere that keeps you on edge. Very realistic game world to explore. Hidden karma system changes the game ending.